A populist party that was expected to do well on Sunday railed against public sacrifices in the name of fighting climate change instead of making immigration its main campaign issue, as anti-migrant, euroskeptic counterparts elsewhere in Europe have done. Polls before the parliamentary election predicted the Social Democrats would place first with voter support of 19%-21%. 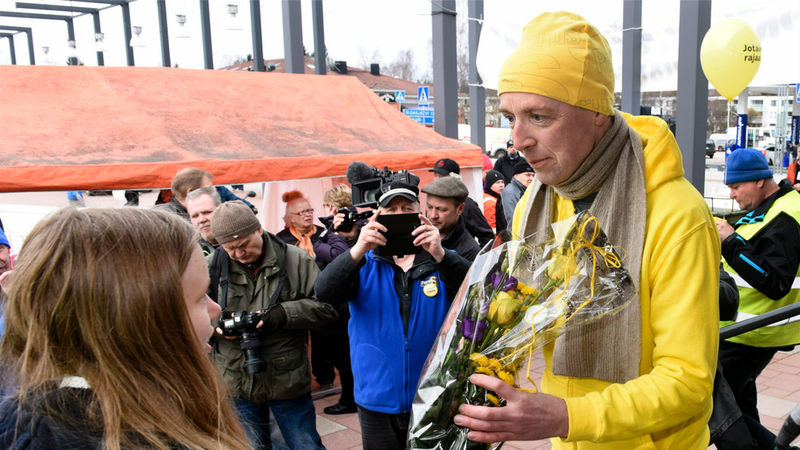 But the far-right Finns Party, led by hardline MEP Jussi Halla-aho, saw a surge in support in recent months during their anti-immigration dominated campaign, urging people to "Vote for some borders". He told reporters that the huge increase to his party's parliamentary seat-count - from 17 to 39, just one shy of the Social Democrats - would give his party sway over any future discussion on immigration, whether or not it was a member of the government. "Some of the questions will be about values", Rinne told Finnish media. Meanwhile Mr Petteri Orpo, leader of the conservative National Coalition Party and co-architect of the government's savings programme, has repeatedly denounced the Social Democratic Party's anti-austerity plans as "irresponsible". The party was in the opposition in the past four years for the first time in decades. "I don't see it as possible that the Finns Party would take part in a government which doesn't clearly commit to reducing humanitarian migration", he added.